There are two kinds of media for photography that are available to you. 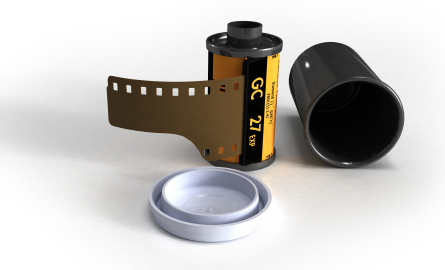 The analogue technology has been around for a long time and is still today, that is film. A few decades ago modern technology has created digital cameras, to let you to take your pictures using a digital sensor called the CCD or CMOS. - The mood: film photography has a kind of mood to it, that digitals will never replace... taking care of all your shots, not wasting them... waiting for the developed film...etc. - You have to wait longer for the film to be developed into pictures and again for enlargements...etc. - Most people don't preserve digital photos (even printouts) as much as the ones made from film - "I have it on my PC anyway..."
As you could clearly see, digital photography is faster, cheaper and easier to use than film photography. However, film photography has and requires a kind of approach that is - in my opinion - more worthy of the profession. If you would like to choose between the two, there are still a lot of things yet for you to consider. The choice between Digital and Film photography are not the last decision you will have to make before you begin your journey on the road of photography.